I am so excited to share with you the cover reveal for one of my favorite author’s latest novels! 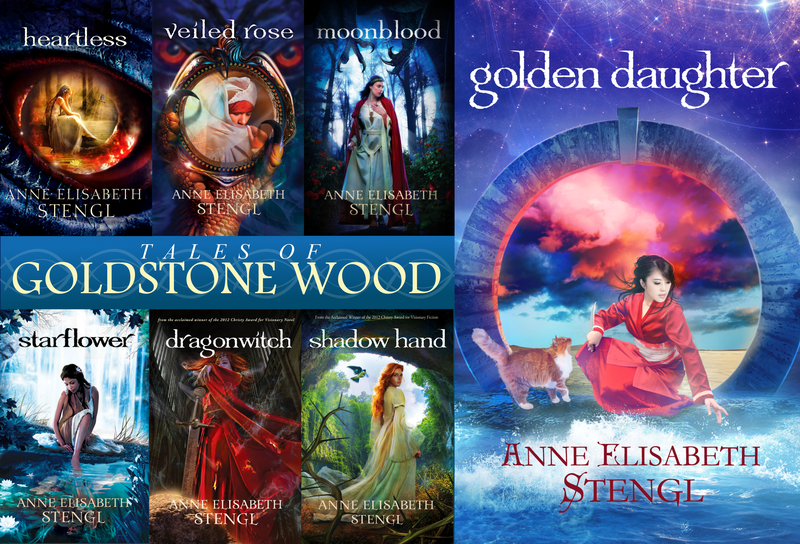 For those of you who are unfamiliar with Anne Elisabeth Stengl, she writes Christian fantasy with a fairytale feel (although none of her Tales of Goldstone Wood are actual fairytale retellings but stories from her own imagination). I love her work and I hope you will check out her stories. Now, onto the reveal for Draven’s Light! 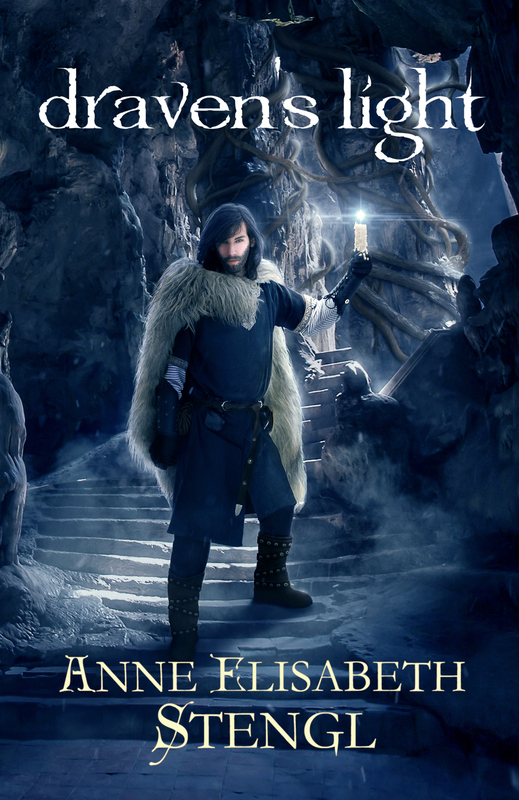 Want a chance to win an advance copy of Draven’s Light? Then follow the link to Anne’s rafflecopter giveaway! Already know you want to ready it? Pre-order Draven’s Light today! ANNE ELISABETH STENGL makes her home in North Carolina, where she lives with her husband, Rohan, a kindle of kitties, and one long-suffering dog. When she’s not writing, she enjoys Shakespeare, opera, and tea, and practices piano, painting, and pastry baking. She is the author of the critically-acclaimed Tales of Goldstone Wood. Her novel Starflower was awarded the 2013 Clive Staples Award, and her novels Heartless, Veiled Rose, and Dragonwitch have each been honored with a Christy Award. 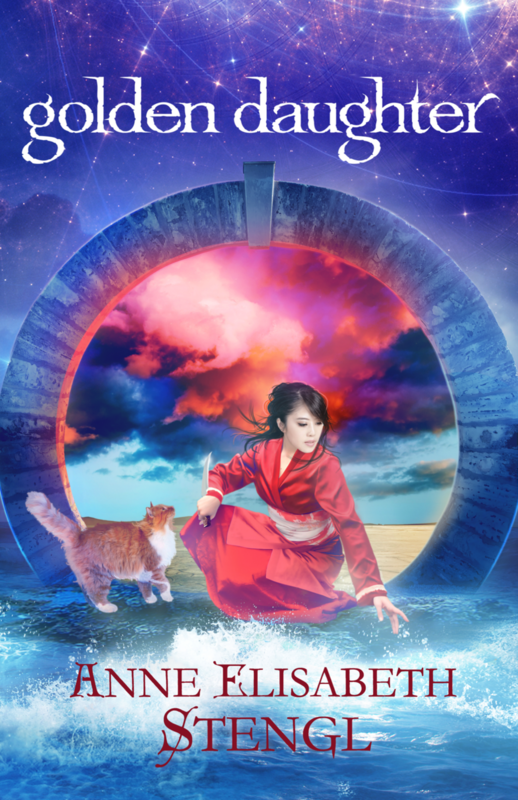 Today I have the privilege of revealing the cover and giving you a sneak peak iinto Golden Daughter, the next book to be released by one of my favorite authors, Anne Elisabeth Stengl. Masayi Sairu was raised to be dainty, delicate, demure . . . and deadly. She is one of the emperor’s Golden Daughters, as much a legend as she is a commodity. One day, Sairu will be contracted in marriage to a patron, whom she will secretly guard for the rest of her life. But when she learns that a sacred Dream Walker of the temple seeks the protection of a Golden Daughter, Sairu forgoes marriage in favor of this role. Her skills are stretched to the limit, for assassins hunt in the shadows, and phantoms haunt in dreams. With only a mysterious Faerie cat and a handsome slave—possessed of his own strange abilities—to help her, can Sairu shield her new mistress from evils she can neither see nor touch? For the Dragon is building an army of fire. And soon the heavens will burn. Sairu made her way from Princess Safiya’s chambers out to the walkways of the encircling gardens. The Masayi, abode of the Golden Daughters, was an intricate complex of buildings linked by blossom-shrouded walkways, calm with fountains and clear, lotus-filled pools where herons strutted and spotted fish swam. Here she had lived all the life she could remember. The Masayi was but a small part of Manusbau Palace, which comprised the whole of Sairu’s existence. She had never stepped beyond the palace walls. To do so would be to step into a world of corruption, corruption to which a Golden Daughter would not be impervious until she was safely chartered to a master and her life’s work was affixed in her heart and mind. Meanwhile, she must live securely embalmed in this tomb, waiting for life to begin. Sairu’s mouth curved gently at the corners, and she took small steps as she had been trained—slow, dainty steps that disguised the swiftness with which she could move at need. Even in private she must maintain the illusion, even here within the Masayi. A cat sat on the doorstep of her own building, grooming itself in the sunlight. She stepped around it and proceeded into the red-hung halls of the Daughter’s quarters and on to her private chambers. There she must gather what few things she would take with her—fewer things even than Jen-ling would take on her journey to Aja. For Jen-ling would be the wife of a prince, and she must give every impression of a bride on her wedding journey. I wonder who my master will be? Sairu thought as she slid back the rattan door to her chamber and entered the quiet simplicity within. She removed her elaborate costume and exchanged it for a robe of simple red without embellishments. She washed the serving girl cosmetics from her face and painted on the daily mask she and her sisters wore—white with black spots beneath each eye and a red stripe down her chin. It was elegant and simple, and to the common eye it made her indistinguishable from her sisters. The curtain moved behind her. She did not startle but turned quietly to see the same cat slipping into her room. Cats abounded throughout Manusbau Palace, kept on purpose near the storehouses to manage the vermin. But they did not often enter private chambers. Sairu, kneeling near her window with her paint pots around her, watched the cat as it moved silkily across the room, stepped onto her sleeping cushions, and began kneading the soft fabric, purring all the while. Its claws pulled at the delicate threads. But it was a cat. As far as it was concerned, it had every right to enjoy or destroy what it willed. At last it seemed to notice Sairu watching it. It turned sleepy eyes to her and blinked. The cat twitched its tail softly and went on purring. The next moment, Sairu was across the room, her hand latched onto the cat’s scruff. She pushed it down into the cushions and held it there as it yowled and snarled, trying to catch at her with its claws. The cat twisted and managed to lash out at her with its back feet, its claws catching in the fabric of her sleeve. One claw scratched her wrist, startling her just enough that she loosened her hold. The cat took advantage of the opportunity and, hissing like a fire demon, leapt free. It sprang across the room, knocking over several of her paint pots, and spun about, back-arched and snarling. Every hair stood on end, and its ears lay flat to its skull. “Meeeeowrl,” the cat said stubbornly and showed its fangs in another hiss. The cat dodged her spring easily enough, which surprised her. Sairu was quick and rarely missed a target. Her knife sank into the floor and stuck there, but she released it and whipped another from the opposite sleeve even as she whirled about. Any self-respecting cat would have made for the window or the door. This one sprang back onto the cushions and crouched there, tail lashing. Its eyes were all too sentient, but it said only “Meeeeow,” as though trying to convince itself. The cat’s ears came up. “Prreeowl?” it said. And Sairu put her free hand to her mouth and uttered a long, piercing whistle. The household erupted with the voices of a dozen and more lion dogs. The little beasts, slipping and sliding and crashing into walls, their claws clicking and clattering on the tiles, careened down the corridor and poured into Sairu’s room. Fluffy tails wagging, pushed-in noses twitching, they roared like the lions they believed themselves to be and fell upon the cat with rapacious joy. The cat uttered one long wail and the next moment vanished out the window. Sairu, dogs milling at her feet, leapt up and hurried to look out after it, expecting to see a tawny tail slipping from sight. But she saw nothing. The devil was gone. For the moment at least. Sairu sank down on her cushions, and her lap was soon filled with wriggling, snuffling hunters eager for praise. She petted them absently, but her mind was awhirl. She had heard of devils taking the form of animals and speaking with the tongues of men. But she had never before seen it. She couldn’t honestly say she’d even believed it. To celebrate the cover reveal, Anne is holding a giveaway for any two of the first six Goldstone Wood novels! Winner’s choice of: Heartless, Veiled Rose, Moonblood, Starflower, Dragonwitch, or Shadow Hand. Anne Elisabeth Stengl is the author of the award-winning Tales of Goldstone Wood series, adventure fantasies told in the classic Fairy Tale style. 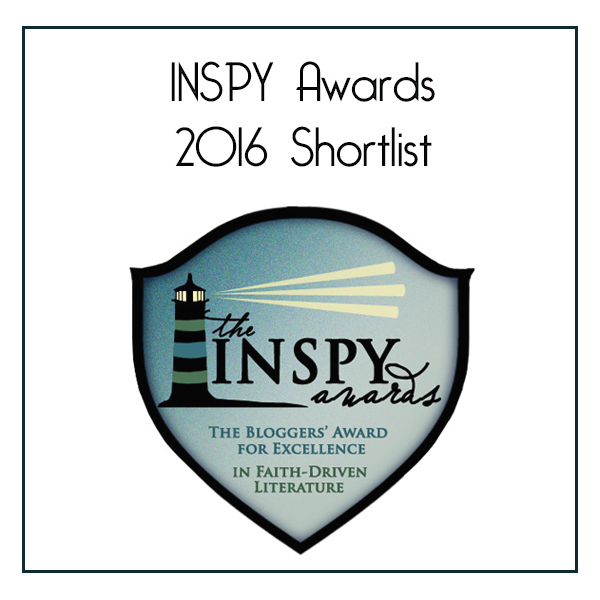 Her books include Christy Award-winning Heartless and Veiled Rose, and Clive Staples Award-winning Starflower. She makes her home in Raleigh, North Carolina, where she lives with her husband, Rohan, a passel of cats, and one long-suffering dog. When she’s not writing, she enjoys Shakespeare, opera, and tea, and practices piano, painting, and pastry baking. She studied illustration and English literature at Grace College and Campbell University.